REINZ data shows Auckland house prices have inched up with the advent of spring. The Auckland housing market has started to stir with new REINZ data showing it saw its first year-on-year price increase for six months in August. Auckland’s median house crept up by 1.4% to $852,000 in August as compared to August last year. It was also up by 2.7% on July. REINZ chief executive Bindi Norwell says that after six months of flat prices in Auckland it is positive to see an increase heading towards spring. “Breaking the Super City down into its old regional boundaries has shown that areas with solid annual median price increases were Manukau and Waitakere Cities with rises of 10.1% and 5.1% respectively. Nationally, median house prices were up by 3.6% year-on-year to $549,000. But they were slightly down (by 0.2%) from $550,000 in July. Norwell says that above average temperatures at the end of winter had a positive impact on the real estate industry with prices increasing in 14 out of 16 regions across the country. Three regions saw double-digit year-on-year price increases to achieve record median prices. They were Gisborne (up 42.6% to $335,000), Tasman (up 24.2% to $615,000) and Manawatu/Wanganui (up 10.5% to $315,000). Both Hawkes Bay (up 9.9% to $445,000) and Waikato (up 9.4% to $525,000) continued to see strong year-on-year growth. However, the REINZ data shows mixed results around the country when it comes to sales volumes. Nationwide, the number of houses sold in August increased by 3.1% (or 188), when compared to the same time last year (from 6,028 to 6,216). Norwell says that nine out of 16 regions saw an increase in sales volumes year-on-year in August. “Those increases were enough to pull the national figure up with a 3.1% increase recorded across the whole country. But in Auckland, the number of properties sold decreased by -2.4% (or 45) from 1,837 in August 2017 to 1,792 in August 2018. Norwell says the market finished winter in a solid position, as indicated by a record high in the REINZ House Price Index, and is in a strong place for some positive results going forward. ASB economist Kim Mundy takes a different view and says the market is continuing to run at different speeds. 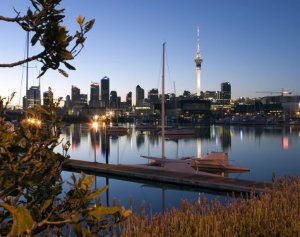 In her view, Auckland remains subdued as it continues to transition toward a buyers’ market. “We see a risk that annual house price growth in Auckland slips into negative territory as uncertainty and affordability constraints continue to impact,” she says. Mundy says that, overall, they expect the housing market to remain relatively subdued over the remainder of the year.